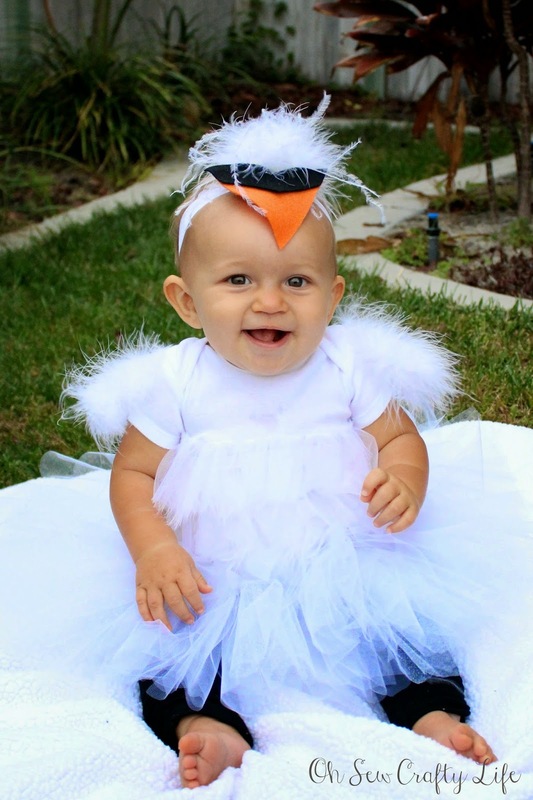 Looking at Halloween costumes for Henley, I saw a baby swan costume at Pottery Barn Kids and fell in love! However, chubby as she may be, the smallest size (12-24 months) was still a tad bit big. 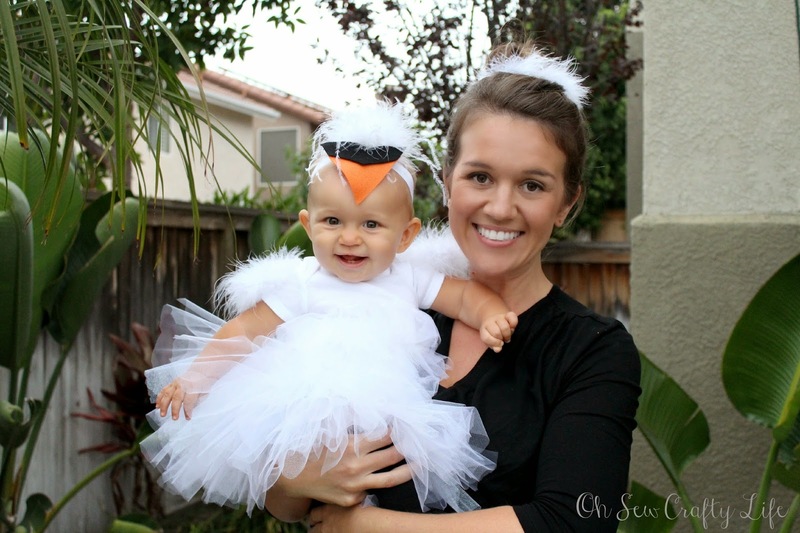 My friend had the idea to dress up together as Swan Lake, and I was set on that idea, so I decided to make her a baby swan costume! 1. Measure the waist of your little one and cut your elastic accordingly. Add about a half inch to the measurement for a seam allowance. I don't like things tight on baby's belly so I made it just snug enough to stay on, which was 15 inches. She's a 6-9 months size in clothing. Line up the ends of the elastic and sew them together with a half inch seam allowance. If you don't wish to sew, then you can knot the elastic, but account for that in the measurement. 2. Cut about 60 strips of the 6" tulle to your desired length. For a 6-9 month old, I made the strips 18 inches long. 3. Place two strips on top of each other and fold them in half making a loop. Pull the ends around the elastic and through the loop. Continue until your tutu is nice and full. I alternate plain and sparkly tulle. 4. Weave the maribou boa around the tulle waistband. 1. 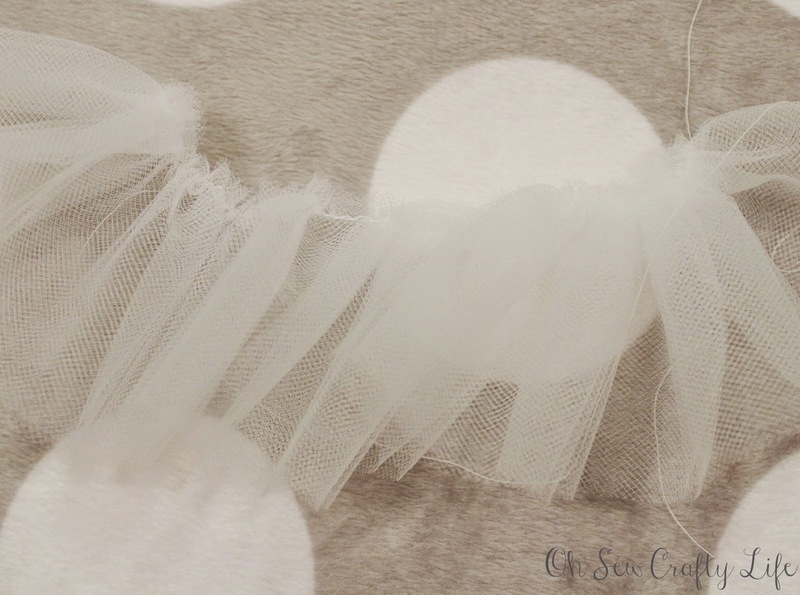 Cut 9 strips of 3" tulle five times the width of your onesie. 2. 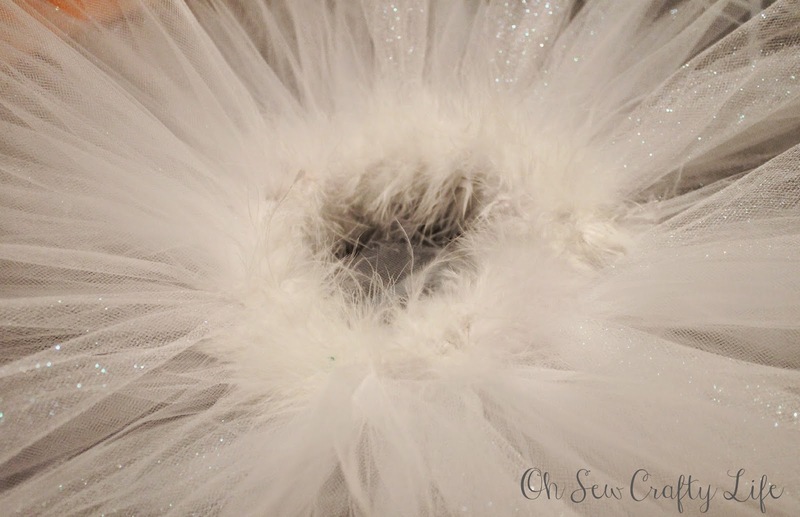 Layer 3 strips of tulle and, using your sewing machine (or by hand), sew a gathering stitch along the top of the tulle with a 1/4 inch seam allowance. Do this with the other strips also. 3. 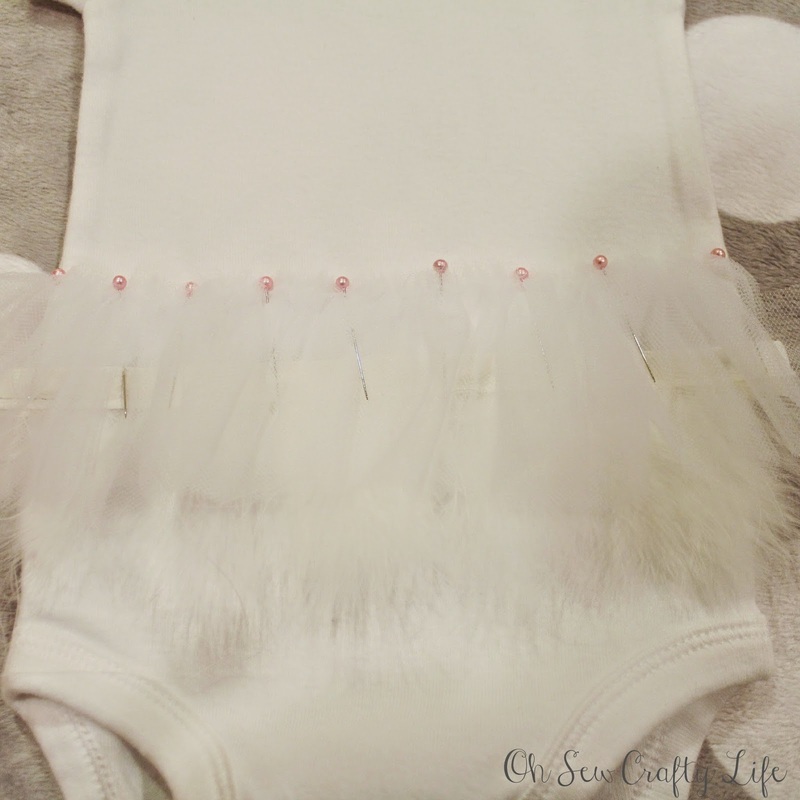 Gather the strips and pin them to your onesie, alternating the tulle ruffles and maribou feathers. The onesie will stretch while you are sewing, so account for that when you pin the layers and leave extra length on the side you will end your stitches. 4. 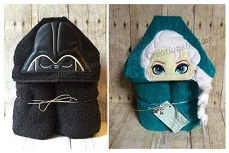 Sew each row onto the onesie by hand or machine. When using a machine, use a zig zag stitch. 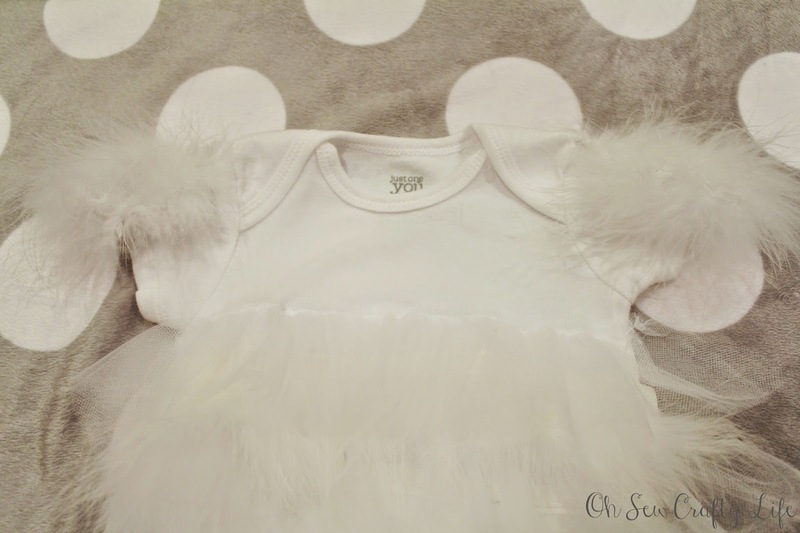 It will allow the onesie to stretch when your little one is wearing it and not pop any stitches! 5. Make two loops of maribou and attach at the shoulders. 1. Cut a triangle of orange felt for the beak. Cut triangle of black felt the same size as the orange triangle (for the black part of the beak) then snip a smaller triangle off of the tip. 2. Glue the black to the top of the orange triangle. Place a white maribou puff behind the felt beak. 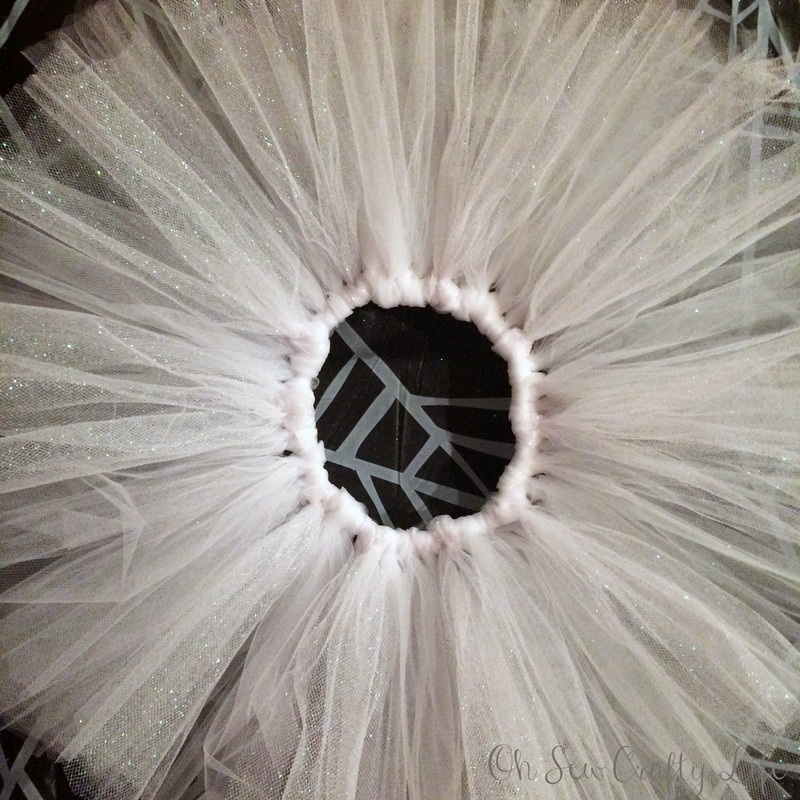 Glue to a felt circle and adhere to a clip or headband. I apologize for the lack of pictures in this tutorial! I made this costume after Henley went to bed and the lighting was not working for me...hopefully you can still make out how I did it, though! Henley made an adorable little swan! Her costume was a hit when we went trick-or-treating, which she LOVED. 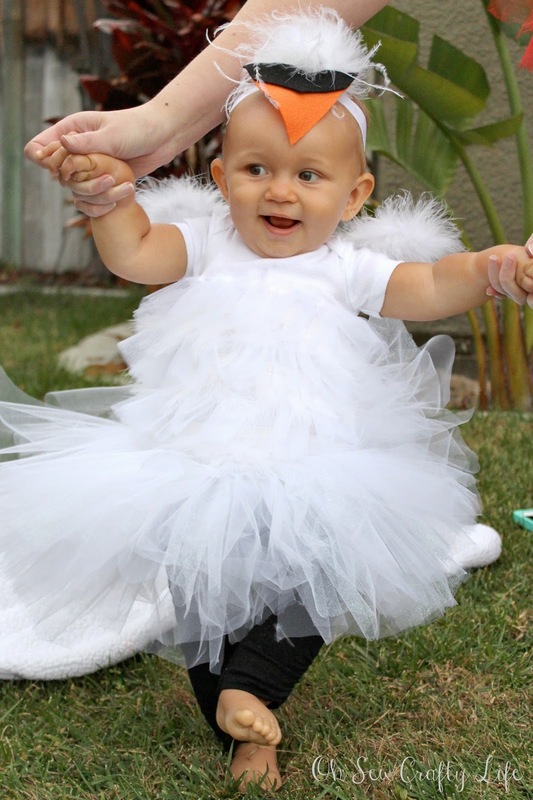 Her first Halloween was one I will always remember. This is so adorable!! (and so much more creative than the Johnny Appleseed costumes our sons sported their first Halloweens -- a pot turned upside down for a hat! lol) Love the matching headpiece you had in your hair, too. Pinned.